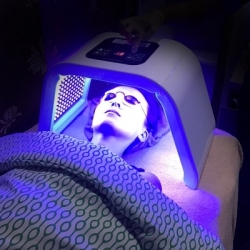 Renaza’s Illuminating Glow Facial utilises a medical-grade LED device, Omega Light Therapy, and a Gentle Multi Derma Peel after a thoroughly cleansed face. 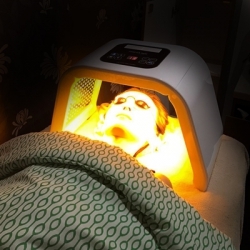 It energises the skin’s fibroblast cells to build collagen and elastin, improves blood circulation and facilitates skin regeneration by irradiating lights with choice of 4 different wavelengths. Expect a hydrated and dewy skin with an illuminating glow like never before. 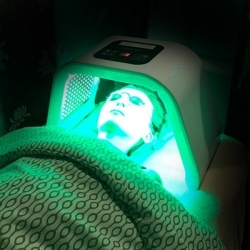 This Mandelic Acid Peel is a powerful exfoliator, yet gentle enough for sensitive skin that is prone to inflammation. 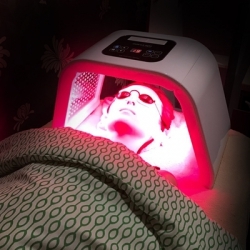 It treats wrinkles and lines, pigmentation and acne.